Estate home on 1.8 acres in an idyllic community of high-end rural properties. This 4,048 square foot “Hartford” model features 5 1 bedrooms and 4 1 bathrooms, as well as a fully finished lower level offering an additional 2,234 square feet of living space. A colonial style exterior is set amidst a sprawling lawn and mature trees. 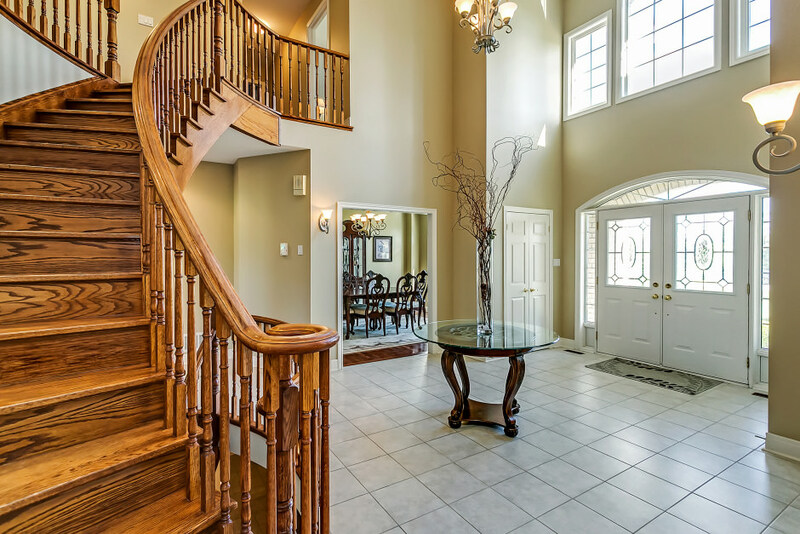 This traditional floor plan is centered on a formal foyer with an elegant oak staircase and 18’ ceiling open to the second level landing. The foyer is flanked by formal living and dining rooms with oak hardwood flooring and large windows dressed with silhouette blinds. A recently updated eat-in kitchen boasts granite countertops, modern subway tile backsplash, and a spacious breakfast area with a double French door walkout to the rear yard patio. A pass-through gas fireplace connects the breakfast area and the family room. Panoramic windows offer plenty of natural light in the main level office/den. The double and additional single car garages are accessed through the mud/laundry room with convenient secondary access to the lower level. Upstairs, double doors open to the master bedroom with his & hers closets and a five-piece ensuite. Four additional bedrooms share two Jack & Jill bathrooms. 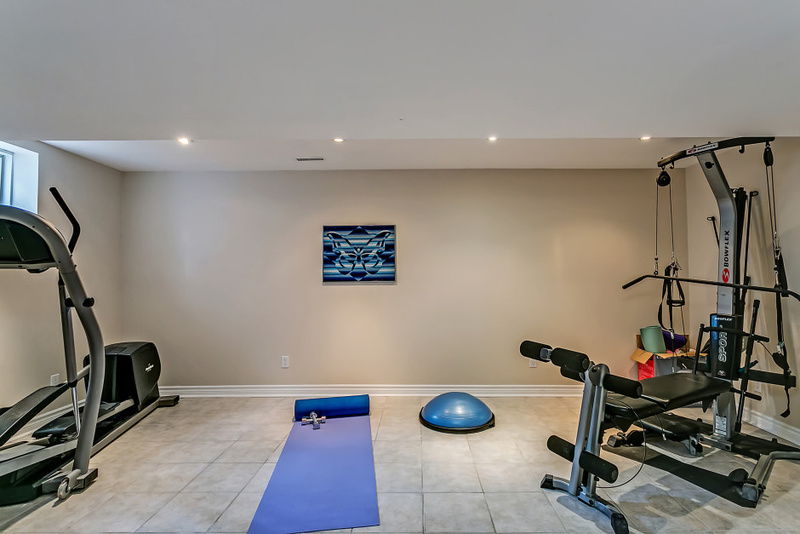 The lower level is an ideal recreational space, with a games room with wet bar, exercise room, craft room, and secondary office/den. A three-piece bathroom services the guest/6th bedroom, which would make an ideal nanny suite. The secluded rear yard is your backyard oasis, with multiple seating areas overlooking the vast green space and forest, featuring professional landscaping and an irrigation system for low maintenance. This home has been lovingly maintained with new mechanical systems and roof completed this year. 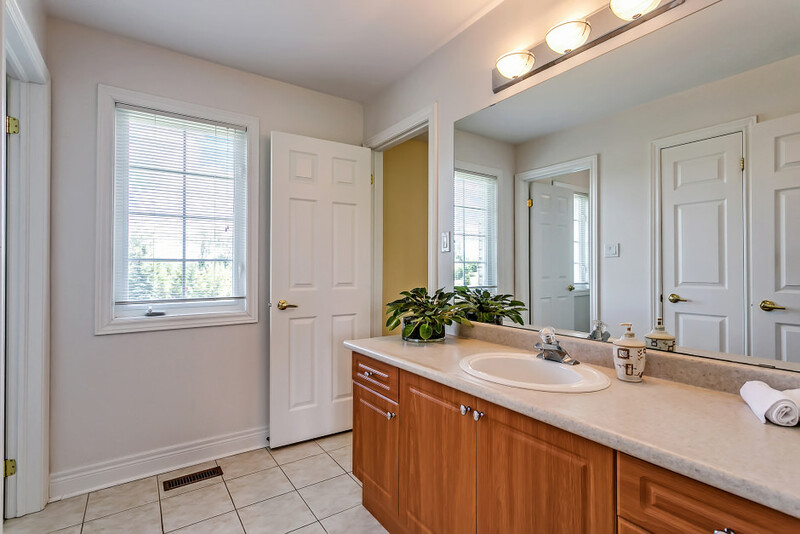 Enjoy tranquil country living just a few minutes from amenities and major commuter highways!